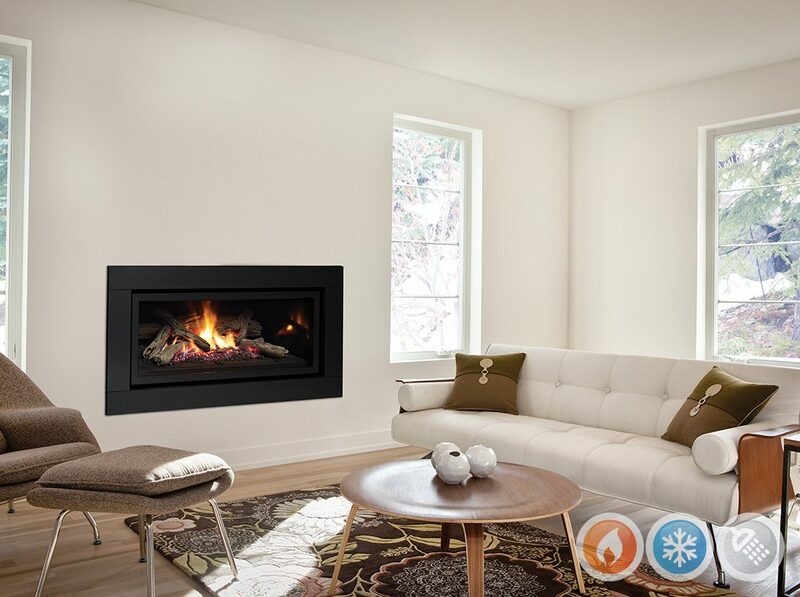 The Regency Greenfire ™ adds modern expression to any living space with today’s sleek, linear styling. This series features seamless design and beautiful wide angle flames set on a coastal driftwood log fire. Efficient, clean-burning zone heating has never been more stylish! Ideal for heating large spaces.